The lovely folks at Value Village were kind enough to send me a $50 gift card to use to find some treasures! Lulu and I headed out one evening after Austin got home, me with my gift card and her with 6 crumpled dollar bills kept in a pillow case. It’s no secret that I LOVE to thrift shop, it’s seriously my favorite past time. I can easily spend several hours combing the racks looking for good deals. However, I’m usually in a rush, with a baby in the sling, another in the cart, my big kids whining to look at the toys or books and someone always needs to go to the bathroom. This time I intentionally picked a time I could really look, and it was so fun! I’ll share with you some of the fun things I found, and then show you what I ended up purchasing with my $50! We always take a peek at the books first. I used to let the kids pick out a book each time we came, however the prices have gone up and they’re priced individually now instead of just a blanket price, so unless it’s a book I know they’ll absolutely love we usually just browse and return them at the end. I loved this fold-out book, it was in great condition! Since buying our home last year, I’ve loved looking in the housewares section! When we lived in the bus we didn’t have room for anything extra, but now I’m enjoying stocking our kitchen. Since we didn’t have an oven in the bus, we got rid of most of our big pans and baking dishes so it’s been fun to slowly build up a collection on nice kitchen items. I really loved the pretty pitcher in the middle, but knew my kids would probably break it. Isn’t it pretty? Someday I’ll have a beautiful white pitcher filled with flowers on my dining room table! More fun housewares! These aisles are some of my favorites, sorted by material (Metal, Wood, Glass, etc.) but you never know what you’ll find! The “wood” aisle is especially interesting and I’ve found some really beautiful, high quality wooden toys in the past! Not surprisingly, I usually spend the most time browsing the racks of kids’ clothing. 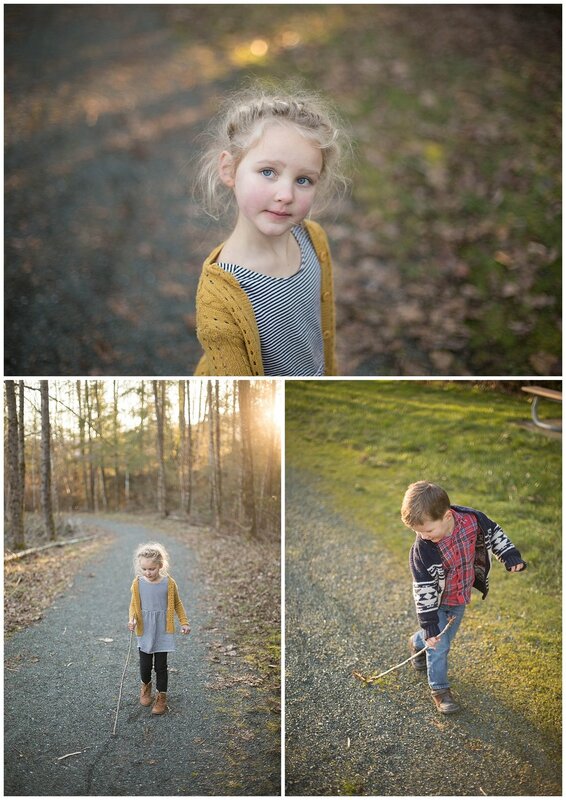 Our four kids are growing like weeds and it’s seriously a chore to keep the clothed. Because of our small home and very limited clothing storage space, I rarely buy ahead unless it’s something really amazing. I don’t mind, but sometimes it means a growth spurt leaves a kid without a single pair of pants that fit. I don’t usually buy a lot in one visit, but by carefully picking one or two items each time, I’m able to clothe my kids in high-quality, stylish clothing for so much cheaper than buying new! Here are a few cute things I was tempted by! I love both of the coats on the top - and for under $3? You can’t beat that! If I knew Imogene would fit in the sweet little red one before Lulu grew out of her red coat I would have snatched it up! I’m always surprised by how many name brand items I find! There were a few adorable Tea dresses and shirts! The cute denim jacket was a bit too small for Felix, otherwise I would have taken it! Yes, I almost bought my kids underwear at the secondhand store! In my defense, they were brand new! $1.99! Of course we always have to stop and check out the toys. 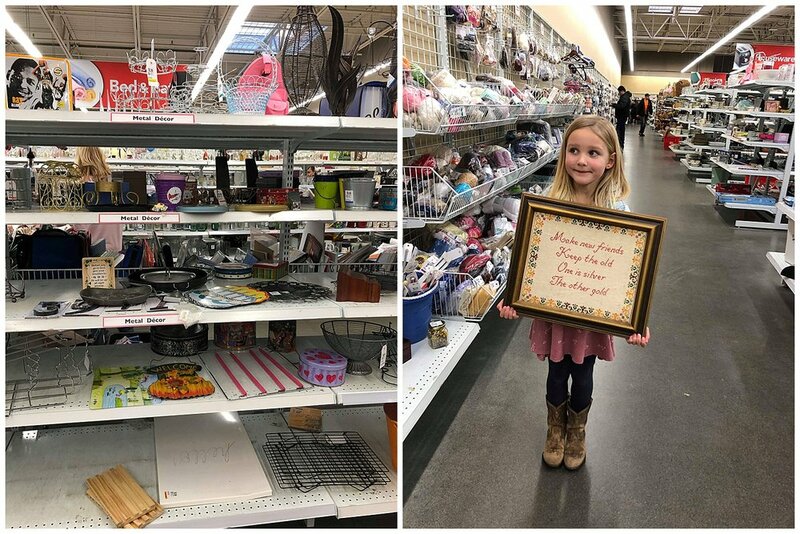 I rarely buy anything for my kids, but they love to look for treasures and plan out what them night purchase next time they have a few dollars. Lulu brought her money this time and bought a few fun grab bags of dolls and clothing. I do always look for toys that I know will get a lot of use: Playmobil, vintage Fisher Price, classic wooden toys and dolls. I loved this basket stand and baskets, I have a similar one in our bathroom with towels, extra TP and wash cloths! There were so many tempting pairs of shoes! I found several pairs of adorable Toms, Stride Rites and See Kai Run shoes! Ballet slippers, cowboy boots, tap shoes, rubber boots, I could have used the whole $50 on shoes alone! I’ve mentioned before that I always take a peek at the toiletries, they often have packs of diapers! On this trip, there was this big, unopened box of tampons. I realize that the thought of tampons purchased at a secondhand store might gross some people out, but the box wasn’t even open! You never know what you’ll find, right under the tampons - a tent! So, what did I spend my $50 on? How far did it stretch? I’ve been on the look out for some flatware, ours seems to disappear at an alarming rate (I’m blaming a certain blonde haired boy and his love for throwing stuff in the garbage…). I love how a new pretty dish towel makes me want to clean my kitchen! Cute little brown Robeez for Imogene and I’m always on the lookout for tiny rubber boots with wide openings! My chubby legged babies/toddlers can rarely fit in normal rubber boots and it’s hard to find tiny ones! Felix can wear these ones now and hopefully Imogene will get some use out of them eventually! A few of the cute things we found for Imogene! A few more finds! The sweater is so soft, 100% alpaca wool! I can’t wait for Imogene to wear it! All in all, it was a fun, successful trip with my biggest girl! I found a few things we needed and a few things for fun! How about you? Are you a thrifter? What’s your best thrift find? Thanks again to Value Village for sponsoring our trip! I realized that I haven't really shared a lot of details about our home! 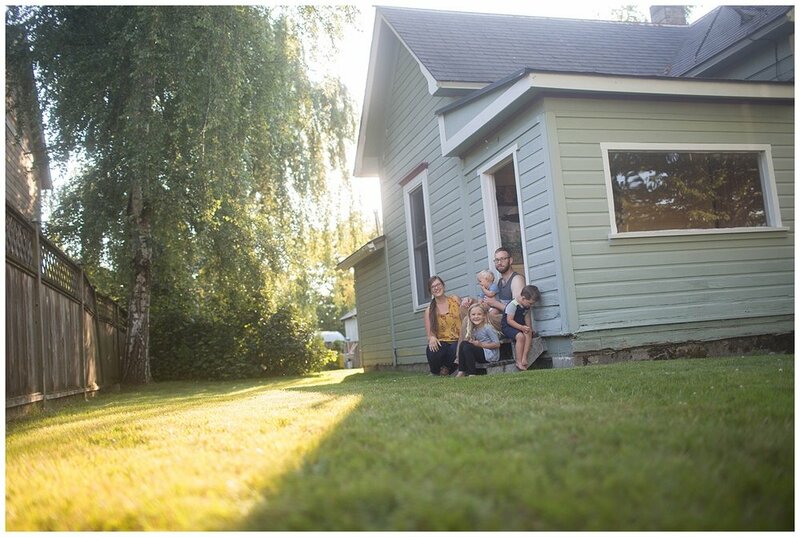 The home is everything we wanted: around 1,00 sq feet, large yard, lots of character, big yard, room for improvement. We love the location, in an older neighborhood, close to lots of parks and amenities. The moment we saw the house, we LOVED it. I actually told Austin I didn't even want to put an offer in because I was afraid we wouldn't get it and I'd be crushed. Obviously, we did put an offer in. By the time we looked at the house it had been on the market for 24 hours and already had a full price offer. We offered a little over full price since it was under our budget to begin with. We were devastated when the seller went with the lower offer because it was a friend of a friend. We tried to get the little house out of our minds and move on, but I felt so strongly about the house that I just couldn't. I compared every house that came on the market to that one and nothing measured up. A few days later, I checked my phone and saw a notification that the house was relisted! Immediately, we called and found out that the previous offer fell through because of what the inspection revealed. We weren't bothered my the main issues that they disclosed to us and put in a new offer (this time at only full price). They accepted and we danced and cheered and cried! The seller agreed to pay closing costs to help us out as we repair damage that the inspection revealed and we feel that we got a good deal on a solid little house! The house was sold to us as 1 bedroom, 1 bathroom, but in reality, it can easily be converted to a 2 bedroom, 2 bathroom house. One of the original bedrooms had been used as the entryway to the house, but we're planning to move the front door to a different location and then it'll be a bedroom again. There are two half baths. 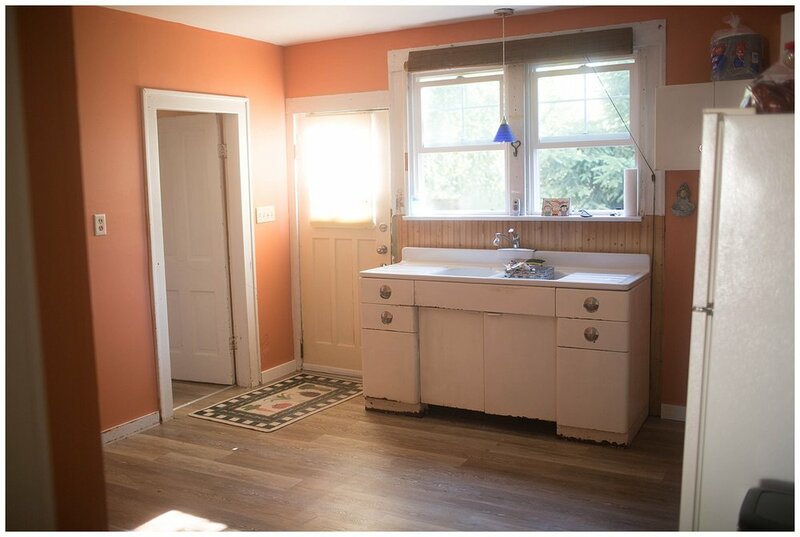 One bathroom (off the "master bedroom") has only a toilet and sink and the other has a shower and toilet. We're planning on doing a little remodeling down the road to turn them each into full bathrooms. One of the best features of the house is the gorgeous yard! Years and years ago, someone did some lovely landscaping and it has beautiful rose bushes, huge hydrangeas, peonies, weeping birches and all kinds of other mature plants. We're excited to dedicate some time to the gardens next spring! There are also two outbuildings, each with power and lots of space for projects and storage! The house does need a fair bit of work. It's old and hasn't been cared for properly for many years. Most of the work we can do ourselves, but there are a few projects that we'll hire out. So far, we've been prepared for all of the surprises we've found and are still feeling hopeful and excited! We've said time after time that we're so glad the house is only 800 sq feet - any larger than that would be completely overwhelming! If you follow me on instagram, you probably know how much my kids and I have enjoyed biking together recently. In March, as the weather started slowly improving and the kids and started spending more time outside, I thought about how fun it would be to be able to bike with my kids. I looked into getting a bike trailer, or a bike seat and a trailer or a trail a bike and a seat, etc. After researching every different combination, I stumbled upon the long tail cargo bike. I felt that this would be the best fit for our family and then began researching brands and prices and availability. I read about a few families who had cargo bikes with e-assist and they mentioned how nice it is to be able to bike further and faster and feel more stability with a heavy load. Again, cue the researching (I like to research things, okay?). And this is what I found: cargo bikes are expensive. Adding e-assist? Expensive. BUT then, I stumbled upon the page of a local company called RadPower bikes. Not only do they offer a cargo bike for less expensive than many other companies the bike has E-assist! I shot off an email to the company and they were excited to work together and offer me a RadWagon and a discounted price in exchange for this review. Austin and I headed down to Seattle to pick up our bike and it was love at first sight! We've had the bike for a month and a half and the kids and I have biked over 250 miles together! As cheesy as this is going to sound, I'm going to say it: this bike has changed my life. Living far out in the county, far from most of our friends and activities is hard. I often feel isolated and lonely. It's hard not to feel stuck inside. But now, the kids and I go for a bike ride almost every single day (we rode 21 days in April!). We often go 10 miles at a time, pack a picnic in the saddle bags and pull over wherever feels comfortable! We bike to the park, to the cemetery, to the store, to the library, the soccer field, the school or just all around on the quiet country roads. It feels SO good to get outside with the kids, engage in something active and feel like we can go anywhere! Because the kids are riding right behind me, it's easy to visit and chat while we ride. We talk about things we're biking past, what's happening that day or just life in general. Sometimes the kids play games together, occasionally they argue and they love waving and calling "HI!" to people as we cruise past. The beauty of pedal assist is that I hardly feel the weight of the kids. Yes, balancing is a bit more work than if I was on a solo bike, but it doesn't feel any heavier to pedal. There is a manual throttle that I use to help us get moving, but then pedal assist kicks in and I hardly feel it. The motor is silent and just quietly does it's job as I bike. There are 5 levels of pedal assist and I usually have it on 1 or 2 and we bike comfortably at around 12 mph. We plug the bike in every time we get back from a ride and it takes around 2 hours to charge. Our longest ride was 23 miles and the battery was at one bar when we got home. Sometimes if we bike to park in the town over, I'll plug it in while we play. Of course, if the battery does ever die on us, I can just bike us home without pedal assist, but I'm spoiled! I had a little bit of trouble finding a seat for Felix that can mount on the front bar, since it is thicker than many bikes. I eventually found this one, Peg Perego Orion, and because of the way it mounts on the bike it can fit almost any frame! It's been a great seat, it seems to be comfortable for Felix even when he falls asleep! I attached a rearview mirror to the handlebars, not to see behind me, but to watch Felix's face as we bike. He loves it! I briefly tried a rear mounted seat and he was not a fan. I think he likes seeing my arms around him and feeling like I'm holding him. I like being able to see him. He often rides with one little chubby hand resting on mine, like he's helping me steer. I also purchased a set of saddle bags from Amazon and they've been great! we've stuffed them FULL of library books, carried our lunch, brought along a picnic blanket, collected "treasures" and all kinds of other stuff! Prior to buying this bike, I had little to no biking experience. I haven't owned a bike in years and had never done any long rides in my life. We're now biking 50 or more miles a week and it feels so good! Almost every time we ride, we're stopped and asked about the RadWagon. I can't help but gush, it's such a fun thing for our family. We've loved exploring our part of the county and now that we have a bike rack for the van, I've taken the bike a few places to enjoy different rides and trails. If we don't have time to do a ride during the day, I'll often get the kids ready for bed and then head out for a quick ride. We head to the school playground, or grab an ice cream cone for dessert or just around the block to watch the sunset. It's a wonderful way to wind down and leaves everyone feeling cozy and warm when we get back inside. I know I'm rambling at this point, but I could say more. If anyone wants to give it a try, feel free to come over and take it for a spin! OR, visit RadPower bikes in Seattle for a test drive! I feel like the kids and I spend a lot of time in the car each week, driving Lulu to school, going to appointments, heading out to play, waiting in the pick up line, visiting Austin at work, going to church, etc. While it's easy to grumble about the time spent commuting, I've also realized what a great time it is to visit with the kids! Abram: How many pounds would it take to read the whole solar system? Me: I honestly have no idea! Abram: Can you please just tell me?! Lulu: When I'm a teenager, can I walk to the park with Abram? Me: Sure! You can take Felix too! Lulu: No way! What if he needs to nurse? While we were visiting a graveyard, Lulu pointed out how one grave didn't have a "Died" date. I explained that it was a wife who wanted to be buried beside her husband, so they had her name there even though she hadn't died yet. Lulu seemed repulsed by this idea and brought it up again the next day while were heading to school. Lulu: I just feel sad that that lady has to be buried there even though she's not dead yet! The kids and I were talking about super powers and what we'd choose if we could. Lulu: Well, I actually already kind of have a super power. Me: Oh, really? What is it? Can't argue with her there, that kid must have incredible hearing, not to mention the incredible ability to bring things up at the most inopportune moments! Abram: MOMMY. Is that a CREDIT CARD!? Me, taken aback: No! It's my debit card, why? Abram: Credit cards are bad! They make you think you have lots of money but you just had DEBT! Thanks to Hyundai USA for making our commute so much more enjoyable! We used a 2018 Hyundai Santa Fe for the week and we all loved it! Lots of room for everyone, huge sun roof, amazing sound system, smooth handling, we were all sad to move back into our mini van when we returned it! Since moving out of our rental house two years ago, Austin and I have not had the luxury of having our own bedroom. In the bus and in our current home, our bed has been in the main living area. This arrangement was fine in the bus, the kids had their own room and we had the space in the front. It was fine when we moved into our space here too, but recently we began to feel like it wasn't the best use of space. We were getting tired of sleeping 5 feet away from the kitchen and our bed was taking up a huge portion of our living space. The kids also weren't utilizing the space in their room. 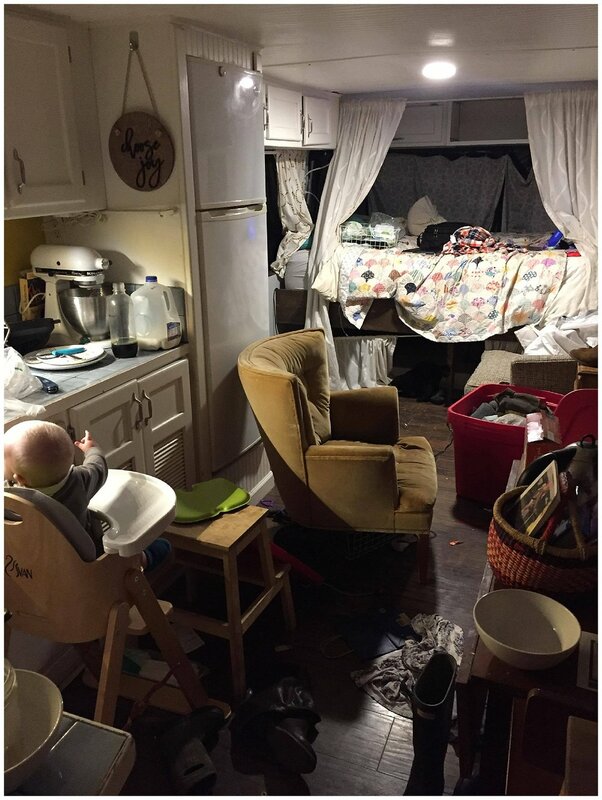 Because we heat with a woodstove and keep their bedroom door closed, it's usually very cold in their room and the small open space they had for playing with their toys was always cluttered and messy, so they ended up playing in the living space, leaving the bedroom space useless. We decided to move both of our beds into the bedroom. We contemplated a few different arrangements: a bed for us and bunks for the kids, a pull out bed for the kids, two toddler beds and a bed for us, etc. Eventually we decided to use what we already had and put our king mattress and their full mattress together to make one giant bed. We ditched the bed frames and just have the mattresses on box springs to keep them lower to the floor. This not only takes care of all the clutter that collects under the bed, but I feel like it's safer for the kids. After looking at a few different "family bed" pictures, I knew I wanted our bed to look like one cohesive bed, even though it really is two. Each bed has its own bedding underneath, but by using two identical comforters and coordinating pillows, it looks like it's one bed! It worked out perfectly in this room, there's about 6" of space between the wall and the bed, which is where the kids store their blankies and special stuffies. It's a good compromise, they're still in the room, but not cluttering up the bed. It's been really, really nice. I'll be honest, we're not huge co-sleepers and the thought of a "family bed" has never appealed to me. But Felix sleeps most of the night in our bed anyway, and Abram has been having bad dreams and usually ends up in our bed by morning. The switch to a family bed has actually given me more space in bed. Felix sleeps against the wall, where there's a space without any blankets or pillows. I can roll over and nurse him at night and then roll back over to my own space. The kids rarely make their way over to our bed, and when Abram does wake up at night, it's enough for him to know we're close by. The kids go to bed on their own at around 7pm and fall asleep independently. Felix starts the night in his crib and usually wakes up for the first time when I head for bed at around 10:30pm, and then I take him to bed with us. I have to admit, one my favorite times of the day is that first wake up of his, the kids are sound asleep, Austin stokes the fire one last time to keep it warm during the night and we all crawl in the warm, cozy bed together. I love knowing we're all there together, safe, warm and comfortable. I can't say we'll continue this arrangement if/when we get a larger home, we dream of having our own room again someday, but it really is perfect for us right now. Moving our bed into the bedroom gave us all more living space and there's no longer wasted space in the bedroom. besides the bed, the only thing in the room is the kids' dresser, wedged at the foot of the bed. I feel like we've all been sleeping better, and that's worth a lot to me. Felix has been napping better as well, now that I can nurse him to sleep in the big bed and then feel comfortable leaving him (in our old bed I worried about him waking up and crawling off the edge) and closing the door, so he has a quiet place to sleep. I often end up sitting beside him while he naps, enjoying the quiet time myself. The kids read, draw or play quietly during this time. And to the many, MANY people who have expressed concern over our ability to enjoy "adult time", never fear! Turns out, it is possible to participate in such activities outside of the bedroom! One of our favorite things to do on a sunny Sunday afternoon is to go for a nice long drive. We try to rest and relax on Sundays and sometimes that's hard to do when we're at home and surrounded by tasks and chores. We often pack a little lunch and head out to explore our area. Our drives often lead us to the ocean, or up the mountain or through a new little town. We stop when we want and get lost a lot. The kids enjoy exploring with us and Felix often naps for most of the time. Since we were borrowing a 2017 Toyota Land Cruiser last week, we decided to put it to the test and drove way out on quiet logging road. And the verdict? It passed! It was a smooth ride and had no issues through the mud, steep hills and gravel roads. It was so gorgeous and peaceful up there! At one point, Lulu wanted us to pull over because she needed to pick some ferns for her fairy. I had to agree, the spot she pointed out did seem rather magical! A quick pit stop and a handful of ferns later, and she was happy. We often end up finding new interesting trails and parks. It was so gorgeous on Sunday, we just kept driving and exploring. We found the perfect little trail through the woods and the kids loved running ahead of us to see what was around each bend. Austin brought his drone along, so he was out flying (while wearing Felix) while the kids and I explored in the woods! 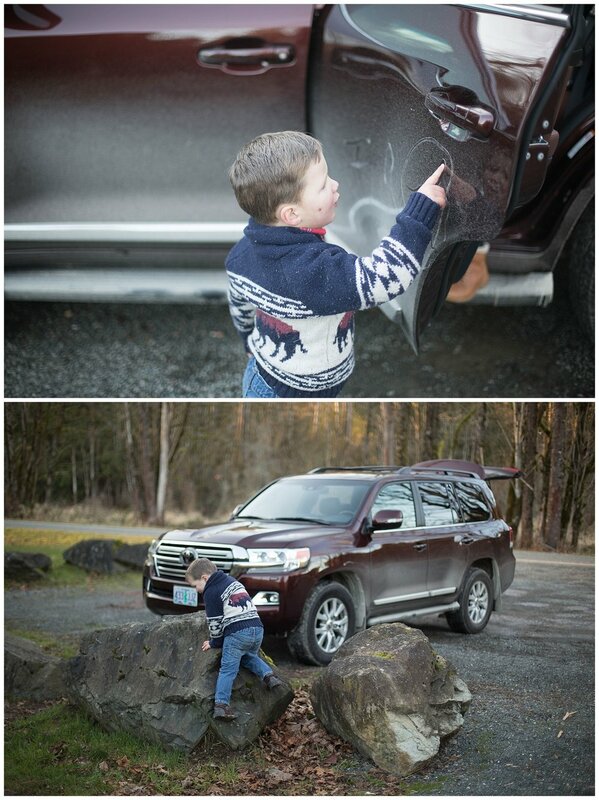 The Land Cruiser was pretty filthy by the end of our adventures, inside and out. It was so fun to have a nice vehicle to drive though, tons of room for the kids, navigation system for us and awesome sound system to keep us all happy! Austin and I often say we'll be sad when the kids want to do their own thing instead of spending Sunday afternoons gallivanting around the county with us, but I hope that never happens! Thanks so much to Toyota for providing us with the wonderful 2017 Land Cruiser to use for the week! It's such a great vehicle, we were very impressed! A couple weeks ago, we received the newest Osmo game: Hot Wheels MindRacers. The kids love it and Austin and I have played it more than once after the kids are in bed, haha! MindRacers is an interactive racing strategy game. The coolest part is that it uses real Hot Wheels cars! 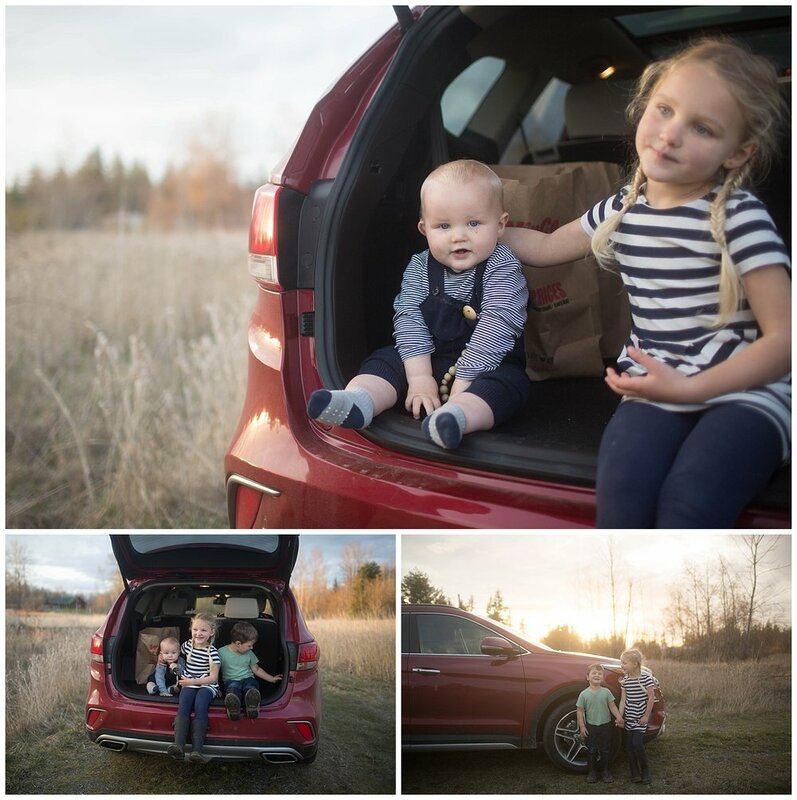 The kids spend so long agonizing over which car to choose, they know each of their names and they love playing with them without the game too! The cars race down the track and then appear on the iPad screen! You then use tokens to make your moves in the race. There are four kinds of tokens (Spin, Attack, Boost and Star) and the kids have to decide when to use each one. Once a token is used, it can't be used again so they've started to learn to use them wisely! You can race each other, play in cooperative mode or race the iPad! My two aren't super competitive (yet!) so it's really a great game for them, they love throwing down the tokens to see their car respond on the screen. The eight different worlds and races are exciting and unique, my kids love the challenges and excitement each one offers! 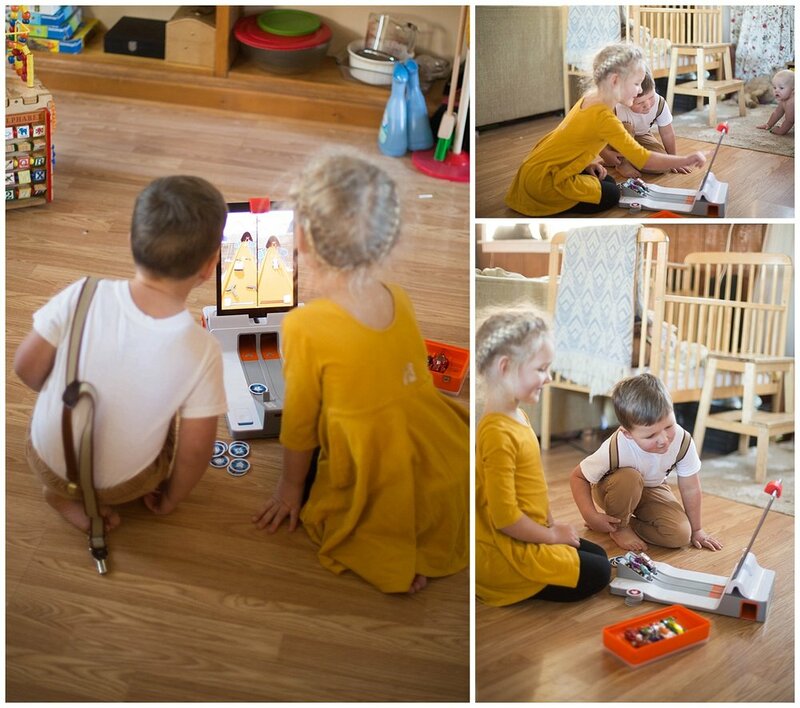 Play Osmo generously provided us with Osmo Hot Wheels MindRacers in exchange for this review! I am no stranger to homeschooling, having been homeschooled for K-8 myself. Homeschooling my own kids has been a dream of mine for years and so far it's been so fun! The most surprising thing about homeschooling? How much time we spend away from home! This week, Lulu went to school on Monday and Wednesday. On Tuesday, Austin had an interview for his citizenship in Seattle, so we decided to spent the day there as a family. 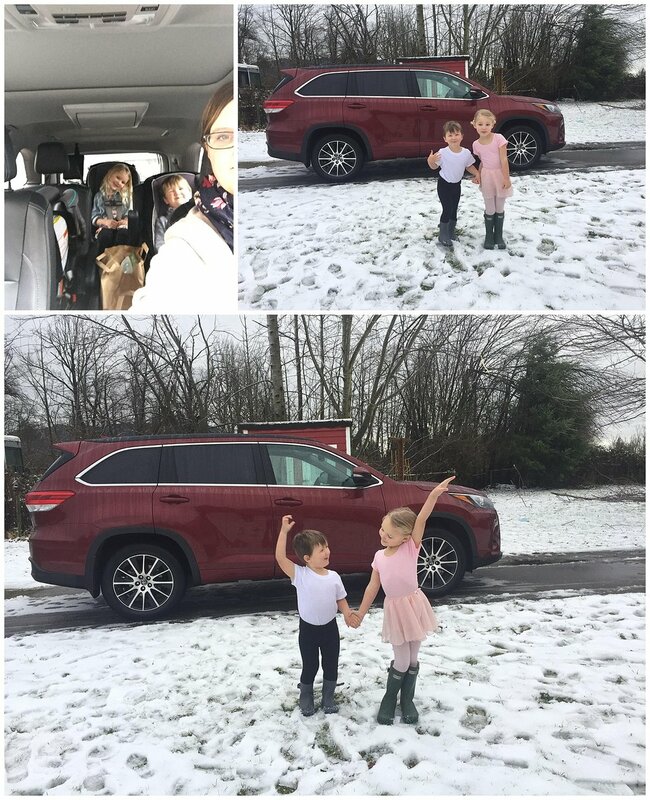 I had to sit and wait in the car with the kids while he completed his paperwork and interview, thank goodness we were using a 2017 Toyota Highlander this week! Not only did the kids have some room to move around, it has a DVD player! We do not have a DVD player or TV at home, so this was a huge treat for our kids and definitely appreciate by Austin and I on the 3 hour drive there and back! We spent the rest of the day at the Seattle science center, enjoying the exhibits and displays. We got to watch a 3D movie in the iMax theater! Abram and Lulu were both so funny, constantly reaching out to grab plants or animals as they "came towards us". Felix peacefully slept through the whole thing. They both loved the dinosaur display and Lulu couldn't get enough of the butterfly room. We got to see a show in the planetarium before heading home. I love learning alongside my kids! On Thursday, we got to go see a dance show at our local university. A local dance artist and his company performed hip hop and tap routines and my kids loved it! We met my sister and her four youngest kids there, we filled a whole row! 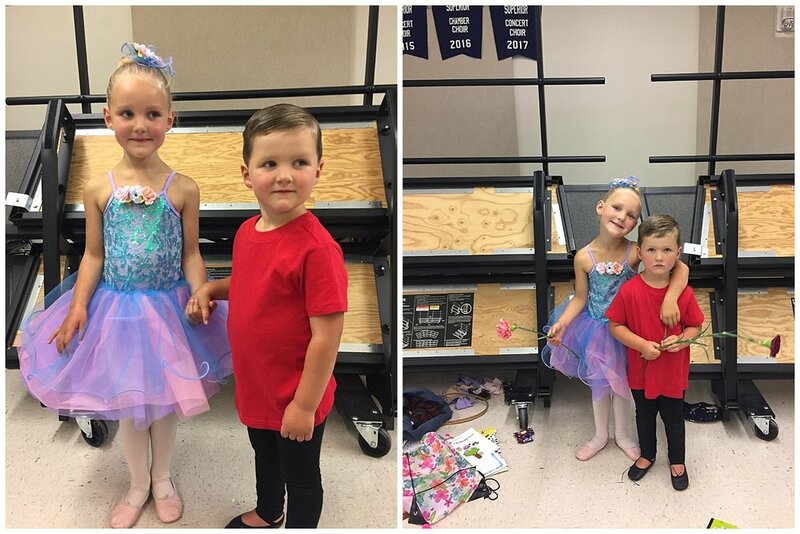 Abram was especially excited that it was a man dancing, he's the only boy in his ballet class and it was fun for him to see a guy dance! Friday found us visiting the library and spending time reading and playing with toys together. The kids both have ballet class on Saturday mornings, so we were out the door early and home around lunch time. If you were paying attention, that means we were gone every day last week! I enjoy leaving the house daily, and the kids do too, but I always make sure they have lots of down time at home too! We enjoyed a couple gorgeous evenings and Lulu was so excited to play in the puddles outside! We've had a few small snowfalls here this winter. It's not unusual to have a winter with little to now snow, but the past few have been snowy ones for us! Just before the last snow melted, we got an evening of sleet and freezing rain! Everything was covered in a thin sheet of ice. The next evening, the wind and rain picked up and temperatures dropped, causing the rain to freeze and branches to topple from the weight of the ice and the wind. Our power went out in the early afternoon and we scrambled to prepare for day or two without. The woodstove in the suite has needed repairs since we moved in and there's no time like the middle of an ice storm to fix it! Thankfully, my parents were able to get a hold of the last piece we needed and we managed to put it together just as it got dark and very cold! We stayed nice and warm in our little home with the woodstove roaring! The kids were excited to toast bagels for breakfast! It was pretty crazy to watch the ice accumulate, it coated our windows and pelted the tin roof! We were so grateful for a warm place to watch it! It was so crazy to go out in the morning and see how much ice and accumulated on everything, and the destruction it had done! Some branches had over and inch of ice! Hank found a good place to hang out under the bus! He spends most of the day in the barn, but ventured out for a bit. Almost as crazy as the ice on the trees was the ice on the ground! So many big chunks were falling from the branches, it wasn't safe for us to be near the trees! We lost quite a few big branches as well. Thankfully we had a new stack of library books to enjoy while the power was out! The kids made sure to check the lights every 5 minutes to see if they worked. Abram told me he wished we just had a *little* bit of power back! We were able to make a hot meal on the woodstove and eat together just before the power came back on! We were very fortunate to only be without for 24 hours, there are many people in our area who still don't have power after 3 days! We received this Kit from Play Osmo in exchange for a review. All thoughts expressed are my own! We got the Genius Kit from Play Osmo the week before Christmas and it's been a huge hit! It contains three games: Tangram, Words and Numbers, along with the iPad base. I love being able to let the kids use the iPad for a while and know that they're working together and learning! Each game included can easily be enjoyed by both kids. Words uses two sets of alphabet tiles to play a bunch of different games! Kids can play cooperatively or competitively. The easiest levels just have kids fill in one missing letter instead of the whole word and it gets more difficult as they go on. They can play an adventure game or guessing games. Austin and I tried it on the hardest setting and it was HARD for us! I love that this game will grow with and teach the kids for a long time! You can also download new albums of words or create your own! Numbers uses a set of digit and dot tiles to teach kids how numbers work together. They learn how to create different numbers as they are displayed on the iPad. The easier levels use only the dot tiles and simple counting. Further on, kids use multiplication and addition to create larger numbers. Tangram uses a set of seven shape tiles to create all kinds of different images. Easier levels give the kids hints and tips for which shapes to place and the harder ones are just a solid shape. Again, the hardest levels are really hard, but both kids can complete the easy ones on their own! We've used a simple tangram app in the past, and it wasn't a hit for the kids. However, being able to physically handle the shapes and manipulate them in the "real world" is such a different experience than moving them around on the screen, they both enjoy it this way! We've really enjoyed all of the Osmo products we've tried out, and I'm impressed with the versatility of each game! 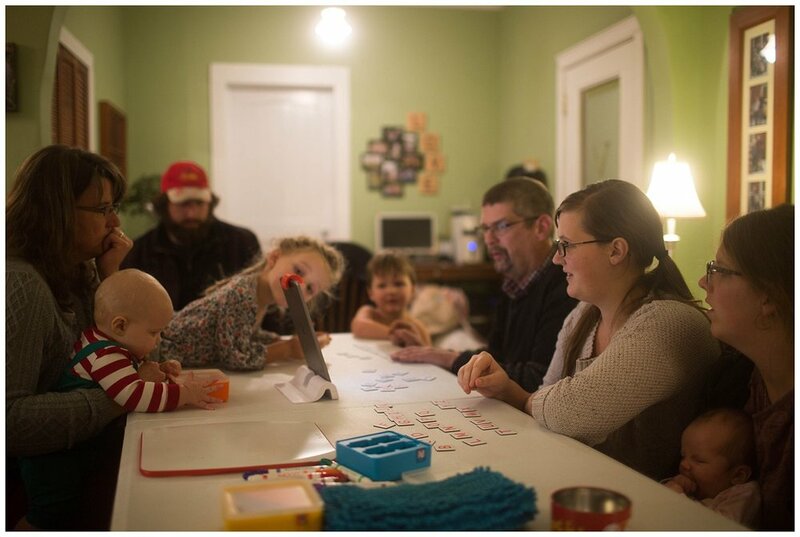 At our Christmas celebration, I brought out the Osmo when the kids were all getting a bit crazy at the end of the evening. It was quickly commandeered by the adults and we all enjoyed a few games of Words, although we let the kids watch! Thanks again to Osmo for providing us with the Genius Kit! Austin finally, finally, FINALLY finished the quarter last weekend! After a very busy few months, including finishing up projects at work, full time school, moving, finals, etc. it was such a relief for him to be DONE! It looks like he won't have to go full time next quarter, and then he'll be graduating in June! We decided to get away as a family to celebrate and reconnect. We chose Leavenworth because it's not too far away, but far enough that it feels like a real vacation! 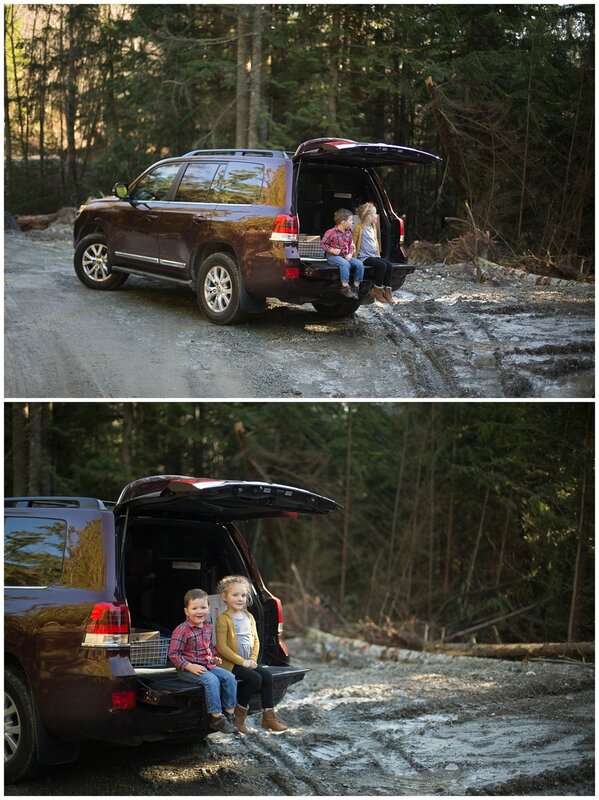 We used a 2018 Toyota 4-Runner and it was so nice not to worry about what kind of weather we'd run into! We went through a few snowy patches and it handled them like a champ! We also had TONS of room for storage and leg room! We stayed at Mountain Springs Lodge and it was so perfect! Our cabin was so beautiful and private, we just loved it! It had a good sized bedroom downstairs and a huge sleeping loft (with 4 beds!) for the kids. It was nice to getaway but still have all the amenities of home, a full (very well stocked!) kitchen, bathroom with laundry, large living room, etc. Our favorite feature was the hot tub on the front porch, overlooking the valley. The kids and I spent a lot of time lounging and soaking, what a treat! It was cold and there was a little dusting of snow outside, but it was so cozy by the fireplace in the cabin! The kids enjoyed playing outside and we had a constant supply of hot chocolate to warm them up when they came back in! I can only imagine how wonderfully cozy and sweet it would be in a heavy snowfall! Mountain Springs Lodge has a handful of fun winter activities: snowmobile tours, sleigh rides, cross country skiing and snowshoeing! We were hoping to take a sleigh ride, but there wasn't quite enough snow for that! Instead we enjoyed walking along the trails, which were lovely! Everyone who we met was so friendly and kind, we felt so welcomed! On our second evening, we bundled the kids up and headed to Leavenworth to look around. It's not too far from Mountain Springs Lodge and it was the perfect activity to get the kids good and worn out! Since we were there on a Monday evening, it was so quiet and peaceful! We loved looking at the lights, window shopping and wandering through a few of the shops! We finished up with a cake pop and Starbucks before heading back to our cozy cabin! The kids were almost asleep on the ride there, so it was an easy bedtime, then Austin and I got to soak in the hot tub for a while! Heading home wasn't easy! It felt like such a calm and quiet retreat, none of us were ready to return to real life! Watch this video to see more of our trip! Mountain Springs Lodge provided us with accommodations and Toyota and DriveShop USA provided us with the 2018 Toyota 4-Runner to use for the week! All opinions and thoughts expressed here are my own! 1. Pay attention to their interests. Because of our small space, neither Austin or I have many hobbies that take up space. We're careful with what we keep and buy and appreciate people who shop for us the same way! For example, while I enjoy knitting, it's not a hobby I'm focused on right now, so gifting me yarn and knitting books would be thoughtful, but difficult for me to find a space to store it. 2. Add on. Our kids have toys in three categories: Duplo, Magnatiles and animals/people (Playmobil and schleich animals) and it's perfect when they're gifted toys that fit in to those bins! While I'm sure there are many other toys they'd love, it's so much easier to just stick with the toys we have. 3. Consumable. Cookie decorating kits, craft projects and treats are gifts that I appreciate for myself or my kids. We don't have a lot of craft supplies so I especially appreciate those little craft kits that include everything you need! 4. Easy to store. Toys or gifts that can easily be packed away are ideal. If it has a bunch of pieces, does it also have a carrying case or basket? 5. Ask. I'm the worst at having gift ideas ready for my kids, beyond letting people know which toys we already have, but I know lots of people who are very organized with this! Maybe they'd like some cash to put towards a family outing, a membership to a zoo or museum or a specific gift they'd appreciate! Just ask! I'm not the only one who hasn't started my Christmas shopping, right? I've been browsing Amazon and searching for the perfect gifts for the kids and our family and I thought I'd share some of the ideas I've found that would be great for a family with little space! We already own some of these things, and others are things I've considered for our kids! If you already own an iPad, the Osmo is such a great addition. We have the Creative Set and Pizza Co. and both kids LOVE them! I love allowing them to have screen time without worrying about which apps they're using. It takes up very little space, and grows with your child so it's a wonderful gift for kids of all ages! I'm excited about this gift for Lulu! I think she'll enjoy putting it together and it'll be fun to see if we can actually grow anything. I've been wanting to do a project like this with her for a long time, but I just can't find the time to put together a cute DIY version. This kit contains everything we need! We love playing board games, they're a great way to spend time together as a family and again, it's a "toy" gift that doesn't take up a lot of space. Happy Salmon is a game we recently discovered and all 4 of us enjoy it! It can be learned in minutes - even Abram (3) could learn it and play in less than 5 minutes! There are a few different brands that make these kind of stacking toys, but the set we have is from Grimm and we've been super happy with it! We've had it for four years and it's a favorite of our kids and any child who comes to play! The great thing about these toys is that they stack together so nicely doing double duty as a toy and art piece! Always a favorite around here, a flashlight is an easy gift for kids of many ages. A cheapy dollar store light or a more expensive one - so many options! Consumables are a great gift idea for anyone living in a small space: hot chocolate, cider, beer or wine for parents. I love my felt letter board from Felt Like Sharing and think it would be a wonderful gift for almost anyone on your list! They've recently added different colored boards and letters, making it easy to choose the perfect gift! I love using mine to mark milestones, special occasions or just to adorn my shelf with a fun phrase! This would be a wonderful gift for a busy parent. A meal service like Hello Fresh or Blue Apron would be a huge help and since it's consumable, they wouldn't have to worry about where to store it! Hammock, scooter, bikes, trikes, swings, etc. My kids might be less excited about these types of gifts at Christmas time, but they'll appreciate them all spring and summer long! My kids have a CD player in their room, so we love getting new things for them to listen to. They've recently started listening to Adventures in Odyssey and they also love music CDs, Lisa Loeb and Slugs & Bugs are their favorites! While we love our new home, it's a much longer commute than we had before. It's about 50 minutes to get to most of our activities. 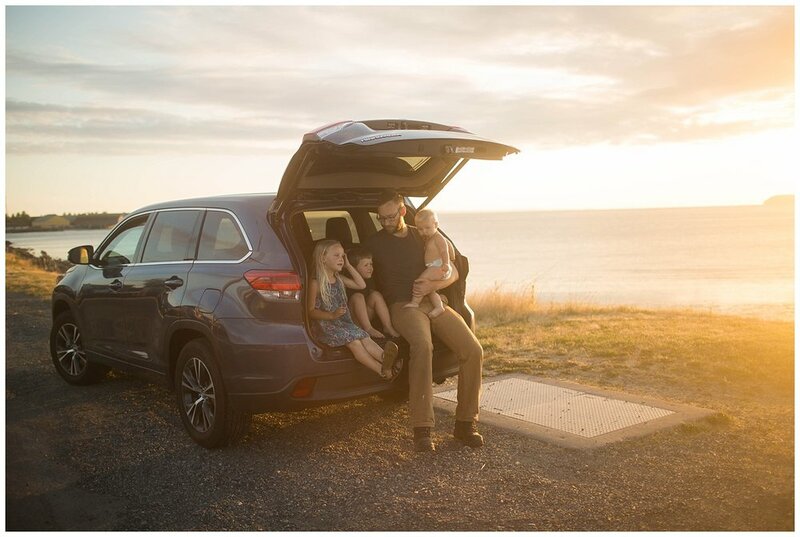 We've been getting used to the drive and I've started learning how to make our long drives more bearable with 3 young kids! Felix hates being in the car. He often screams for a good portion of our drive. It's exhausting and frustrating for all of us. 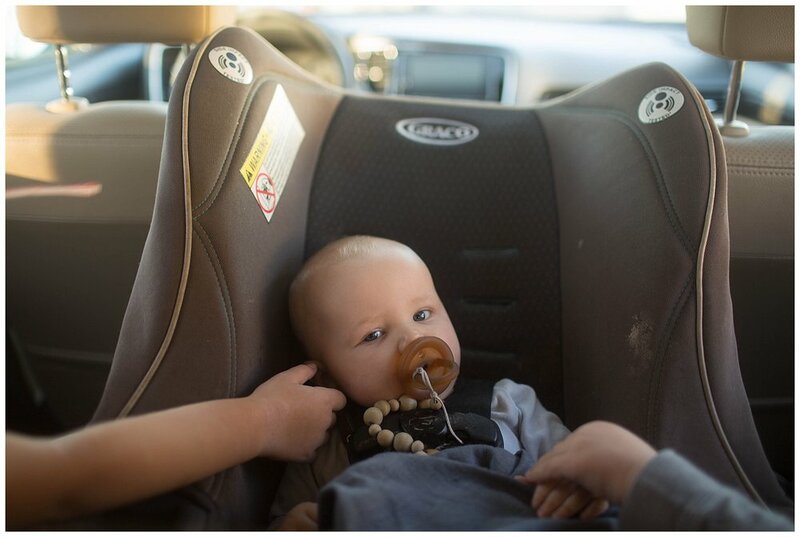 I've found that having him in the middle of the kids helps, even though it's more annoying to get him buckled. Lulu can help him find his pacifier back and Abram often holds his hand or strokes his cheek. It's not a complete solution, but it helps! I love listening to podcasts and my kids love audiobooks! I got a little tired of listening to Frog and Toad a million times, so I spent some time one weekend finding some new podcasts to try out and the kids love listening to something new each time we drive! It helps the drive feel much faster! They're favorite is Story Nory. I try to avoid taking toys/games/books in the car because they never, ever come out. But I do let the kids take their blankies (we call them beep beeps) and that helps them get cozy and comfortable. We recently got a carseat coat for Abram, and he loves being able to be warm and cozy in his seat, and I like knowing he's still safe! I know it's kind of cheating, but the best way to make the drive manageable is to just not do it....Lulu has school twice a week and I try to get all of my errands done while she's in school. I could hardly make it home and back during the short time she's in class anyway, so instead the boys and I get groceries, and do everything else we can in that time. I can't be the only one who gets hangry, right? Even if my kids can do the drive without a snack, I can't! I often buy an extra box of granola bars or crackers at the store just to keep in the car. Gum helps me stay awake and alert too, if I've been up thirty hundred times the night before. I know it's not always possible, but I do try to take advantage of our long drives. We live in a beautiful area and I try to notice the scenery around me. Most of our drive is rural, I often only pass a few cars and the solitude is enjoyable. I pray, sing or mentally plan out my week while driving. It's also a great time to connect with my kids if we've had a rushed morning or rough few days! We are enjoying our new little home, it's becoming a cozy, functional space for us. When my parents bought their home almost 15 years ago, this was a half-converted garage. They put a lot of work into it and turned it into a little apartment. Several people have lived in it over the years (us included!) and it's been a blessing to many people! It's around 500 square feet, which may seem small but right now it feels huge to us! We gave the kids the bedroom and it's been fun for them to have a slightly bigger space to play. They share the full-sized bed and Felix has a mini crib in the corner. Most of their books are on the shelf in the living space, but their library books are on display and easily accessible to them. The picture rails are from IKEA. We pull Felix's tiny crib out of the room at night and he sleeps in it at the foot of our bed for part of the night. The peg shelf holds all of our baby carriers. The sectional in the living room belongs to my parents and was there when we moved in. It's quite a treat to have a couch lounge on! I'm still looking for a few things to hang on the walls, but I took our things out of the bus to hang up already! The bathroom is right off the living room, complete with a flush toilet, hot water and a full sized shower! Can you imagine such luxury?? The woodstove needs some repairs, but we're hoping it'll be functional soon! Just like in the bus, our bed is in the main living space. We upgraded to a king sized bed in the move and it's amazing! It's nice to have a larger bed since the kids all love cuddling and reading or playing quietly on the bed during the day. I think the kitchen might actually be smaller than the kitchen in the bus, but we do have a full sized fridge and table! The view out my (huge!) kitchen window is lovely, a big open field facing west so we can see the sun setting every evening. Our closet is behind Felix's high chair and that pantry cupboard holds all of our dry food. We're enjoying our new home, and it still feels like we're at a resort or something with all of the amenities available! I confess, I'm an Amazon junkie. You can't beat the convenience, especially when you live a ways from town, like we do now. I'm also pretty budget conscious, so most of my purchases are necessities or under $20. Thank goodness Felix doesn't spit up much (Abram was a fountain of baby puke) but man, he DROOLS like mad! These bibs are perfect, cute and practical! While I have to admit, this planner hasn't completely taken all of my stress away, it has helped me feel more in control and organized. It's the perfect size to toss in my bag and take along and it's super cute ! I posted about this high chair on Instagram when I first got it and I still love it! It's tiny and perfect! I love the design and it's table height, so I can take the tray off and push it right up to the table with the other kids. Felix loves joining us at meal time, even if he's not eating yet! Lulu brings a snack to lunch each day, so I was on the hunt for small lunch box that would be easy for her to bring along. I didn't want anything huge since she's only there for a few hours and rarely even eats her whole snack. I found these cute Bento boxes and got one for her and Abram. They're perfect for packing along a small amount of a variety of items! Today is Tuesday, we found out on Wednesday that we had to move and pulled out on Saturday afternoon. Moving a 20 ton vehicle that's been sitting on soft ground for 18 months is no easy task. First we had to move everything around inside to get the bed taken down. Obviously, in such a small space, it's very hard to rearrange anything. Thankfully, my parents took Lulu and Abram for the night so we could have some space to work. After getting the living room cleared out, we took the bed apart (it's built over the cab) and checked to see if the bus would even run. We both cringed as Austin turned the key but we were pleasantly surprised to find that it started right up! After 18 months of sitting, we just weren't sure what was going to happen. It sounded rough for a few minutes, but then seemed to work through that and purred like a kitten. The next morning Austin had to go to my parents house to pick up the driver's seat that we had stored in their barn. Then we had to figure out how to get the steering column hooked up again. Three trips to the hardware store later, we had all the bolts we needed. While it's different than packing up a home, it's still a lot of work to get everything ready for a move in an RV. Since we took out pretty much everything "RV" about it, everything has to be secured and tied down for a move. I zip-tied and taped every cupboard and drawer closed. After we had everything ready, we had to unhook the power, water and propane and get everything stored away outside. Then we used the jacks to get everything out from under the tires. In the process, one of the jacks sunk deep into the ground and we had to dig it out by hand. Finally, we decided to try to drive it out. After a couple failed attempts, Austin gunned it and Big Bluey backed right out! It was pretty crazy to see the space after we pulled out of it, 18 months of living left it's mark. 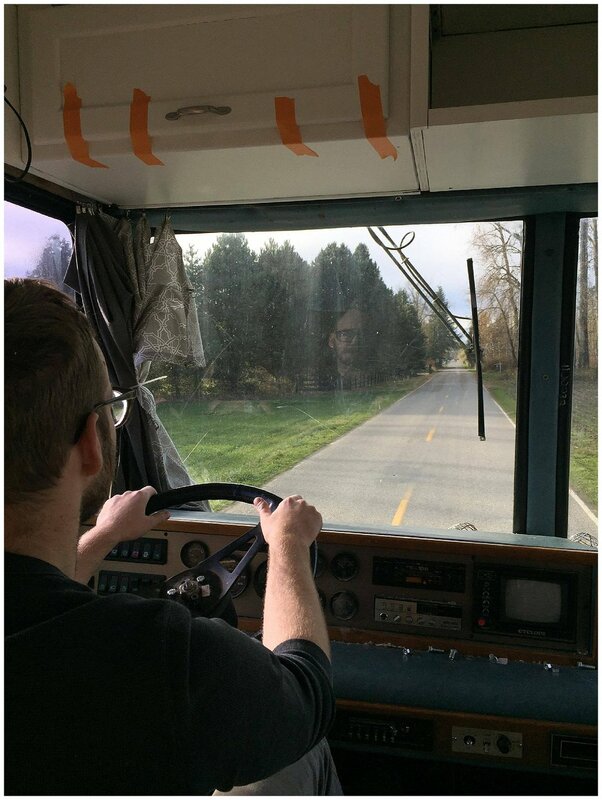 We waited for my dad to come follow us to make sure we made it before we headed out on the road. Besides the cat yowling it's head off in the shower, the mailbox we took out and Hank pooping on the dashboard, we made it just fine! It's definitely not a vehicle I'd do long term travel in, but it did great for the 20 minute drive. After we arrived here, we were pretty worn out and stressed from the week. Thankfully, we could spend the night at my parents' house. 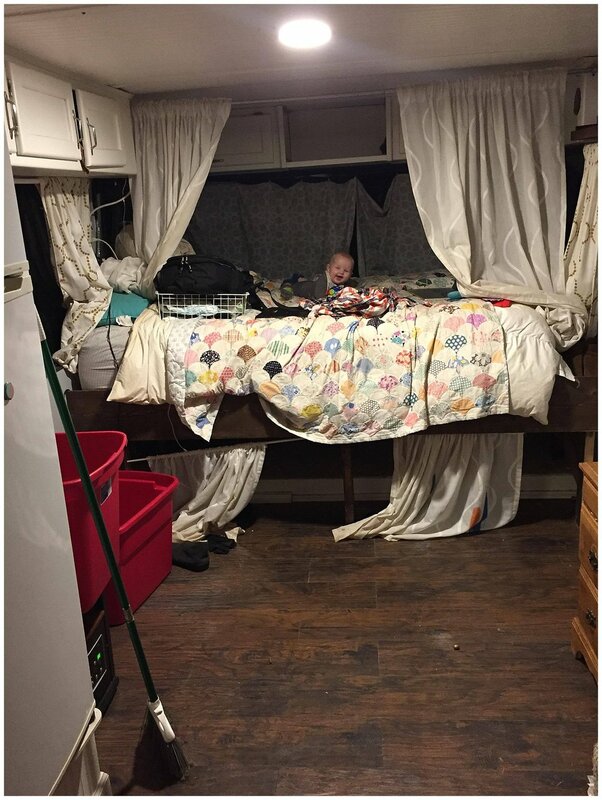 We had been trying to decide wether we should try to continue living in the bus or move into the suite at my parents' house. I was set on staying in the bus, Austin preferred the suite. We finally decided to see how bus living went in the new space, but when we went through the steps to get our home set up again, we ran into trial after trial. We struggled to get the bus level, and as a result, couldn't get the door to shut properly, the porch wouldn't fit, we couldn't get enough power to run our space heaters, we had trouble with the water, and finally, a new little leak showed itself and I finally admitted defeat. We're currently in the process of moving into the suite. While I'm grateful it's an option, I'm feeling pretty bummed about it. It's a nice little space, but it's not ours. So another adventure in small living begins for us. The suite is about 500 sq feet, it has one small bedroom, a little bathroom and an open living space. It's been empty for a while and needs a little work before it's comfortable. I'll share some pictures in a few days! Thanks for the encouragement and support, it's been a long, strange week and we're all a little tired and battered.